Students of one of the Warsaw’s high schools are so much fascinated by the history of Ignacy Domeyko and Władysław Wagner. They decided to explore new informations and facts about the famous Poles. That’s why in August they begun a phased expedition around the world. They are going to visit 11 countries. Ignacy Domeyko was a Polish geologist, mineralogist, mining engineer and researcher of South America. He lived in Chile for many years, where he became a precursor of education and mining. He married Chilean Henrykieta de Sotomayor and received honorary citizenship from the president of Chile. The other Polish hero, Władysław Wagner, was a sailor. He became the first Pole who circumnavigated the land on the yacht. He was also a writer and publicist. After World War II he settled in the British Virgin Islands and significantly contributed to its development (i.a. he built the first airport). He also married the British Mabel Wagner. These are only short biographical notes of famous Poles, but their history is well known to former and current students of the I. Domeyko’s CXXII High School in Warsaw. “We did not meet Ignacy Domeyko and Władysław Wagner as known and unattainable historical figures, but as private friends-guides. Their achievements inspired us to work for others and discover the limits of our own abilities. We would like to talk about them so that others could also get to know them from this side”- they said and decided to start the International Campaign about Ignacy Domeyko and Władysław Wagner. One of the campaign’s projects is the Stage Expedition Around the World. Goals? Promoting Poland as the homeland of Domeyko and Wagner, achievements of Poles, educating foreigners about the history and culture of our country, cultivating the heritage of Domeyko and Wagner. They also want to find new information about them and meet as many people associated with Domeyko and Wagner. At the end of the project they will make a director’s version of the movie titled “In the Footsteps of Wagner”, which will be produced by the School Television of IgnaśTV. The first stage of the Expedition will be a trip to North America, more precisely to the United States and Canada. Then, the youth travelers will visit Central and Eastern Europe, South America, Western Europe, Australia and Oceania and the Caribbean. The whole trip will end in the first quarter of 2021. In general, students will visit 11 countries. On Thursday, Warsaw’s youth started their Expedition and flew overseas. In Chicago and Toronto they will meet Polish sailor and will promote their idea through public appearances and visiting Polish media in North America. In Orlando, travelers will meet Mabel Wagner, the wife of Władysław Wagner and see a house in which the Pole lived in Florida. The return flight to Poland is planned for September 11. 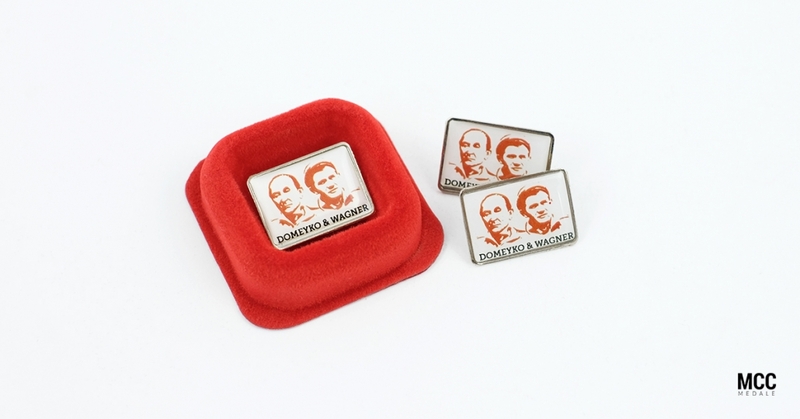 Company of MCC Metal Casts at the request of explorers prepared several lapel pins with the logo of the Domeyko & Wagner – Heritage institution free of charge. “The materials will be an important representative elements” – said Kinga Leśniewska, PR Manager of the campaign. This means that pins will be visible as a showcase of the campaign around the world. Details about the expedition can be found at www.domeyko-wagner.org.